“A boxer? I don’t like boxing. Even as a kid, I always thought that boxing was boring. It was something I couldn’t, wouldn’t grasp“. This was Martin Scorsese’s response when Robert De Niro asked him to make a film on the life of boxer Jake La Motta. De Niro read La Motta’s Autobiography and was fascinated by the character. But, De Niro failed to convince Scorsese at first. Later, when Scorsese was in the hospital after a serious drug overdose, De Niro proposed the project again and Scorsese agreed this time. Scorsese for some reason believed this was going to be his last film and through this film he claims to have redeemed himself. Raging Bull is not just another Boxing Film and Scorsese deliberately tried to reduce the length of the boxing scenes. The boxing scenes only consists of approximately 10 minutes of the film. The main focus of the film was the life of La Motta outside the ring. Scorsese said “the ring becomes an allegory of life”. Screenplay: Mardik Martin was first asked to write the screenplay. But, neither De Niro nor the distributor United Artists were impressed by the script. Later Paul Schrader, screenwriter of Taxi Driver, was asked to re-write the script. Schrader made significant changes to Mardik’s script, including the introduction of the character Joey La Motta. Later Scorsese & De Niro again made changes to the final script. Filming: Robert De Niro went through boxing training for the film under the guidance of real Jake La Motta. De Niro fought three real life boxing matches and won two of them. De Niro found that boxing came naturally to him. Scorsese didn’t want to shoot the boxing scenes in the conventional way which was to shoot everything from outside the ring from a spectator’s view. Scorsese wanted to show emotions of the fighters, take close up view of the boxer’s face. To do this a camera was placed inside the boxing ring operated by the DOP Michael Chapman. The movements of the boxers were carefully choreographed using dance routines. Sound Designing: The film is famous for its use of Sound. Scorsese uses combination of Sound & Silence to heighten the experience of the film. Every loud boxing scene was preceded by quiet domestic scenes. In the boxing scenes, there were two significant sounds- the punches and the camera flashes going off. The sounds of the punches were made by squashing of melons and the sound of camera flashes were sound of gunshots. To prevent these effects to be used again, sound effects editor, Frank Warner, destroyed the original tapes. BGM: There was no original music composed for the film. Scorsese used compositions by Italian Composer Pietro Mascagni because he found it had certain sadness to it which was fit for the mood of the film. He also used popular songs of that period. Release: Raging Bull, when released was not too successful at the box office. But, later it was called a modern classic and appears on many Greatest Movies list including Sight & Sound and TIME. Roger Ebert called it the best film of 1980s. 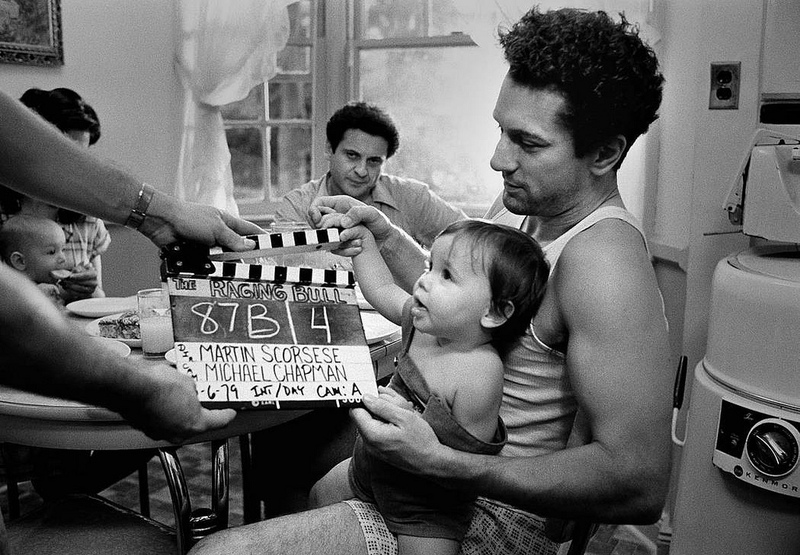 Scorsese himself said Raging Bull was a cinematic rebirth for him.